Under government leadership, the National Round Table Process helps all involved in development in Lao PDR work better together, for bigger results. The Ministry of Planning and Investment leads the round table process, which brings governments and national development agencies, United Nations bodies, civil society organizations and the private sector together to ensure funds, time and knowledge bring maximum impact in development across the country. The 8th five-year National Socio-Economic Development Plan 2016-2020 aims to ensure Lao PDR graduates from least developed status by 2020. By streamlining and coordinating support from the development community, the Round Table process is a vital mechanism in meeting that aim. Round Table Meetings have been held since 1983. The continuing and dynamic Round Table Process was launched in Lao PDR in the year 2000. 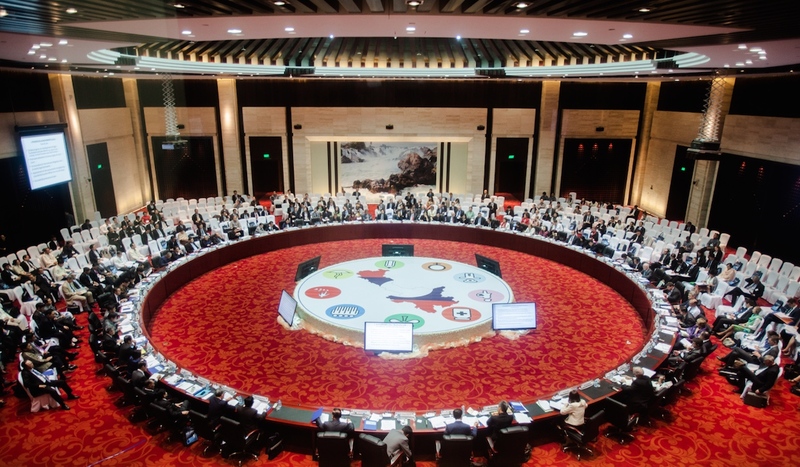 Currently taking place every five years, High-Level Round Table Meetings provide inclusive forums to support the design and implementation of the country’s national development plans. Implementation meetings are held every year to take stock of progress made in the past year and set joint priorities for the coming year. The Round Table process includes 10 Sector Working Groups to coordinate actions among various stakeholders by theme. The groups serve as key links between local progress and national plans and policies. They cover health, education, governance infrastructure, macroeconomics, trade and the private sector, mine action, illicit drug control, agriculture and rural development and natural resource management and the environment. A number of Sub-Sector Working Groups provide additional platforms for coordination around specific priorities within these sectors. The Round Table Process is guided by globally agreed principles on effective development cooperation. These include host government ownership of development priorities and plans, a focus on results, inclusive development partnerships and transparency and accountability to one another.